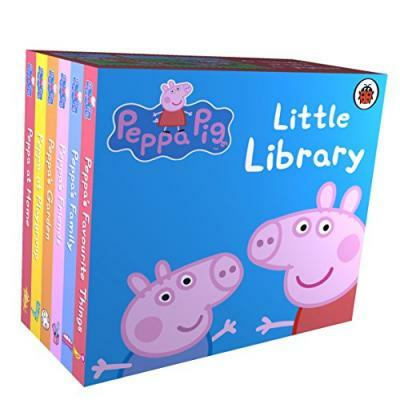 The Peppa Pig Little Library is a charming collection of six chunky mini board books, based on your favourite characters from Peppa Pig and presented in a colourful slipcase box. They are ideal for pre-school children and fans of the show, and the backs of the six books make a jigsaw! The Peppa Pig range of books are fun, interactive and educational, and encourage children to start to read by themselves.